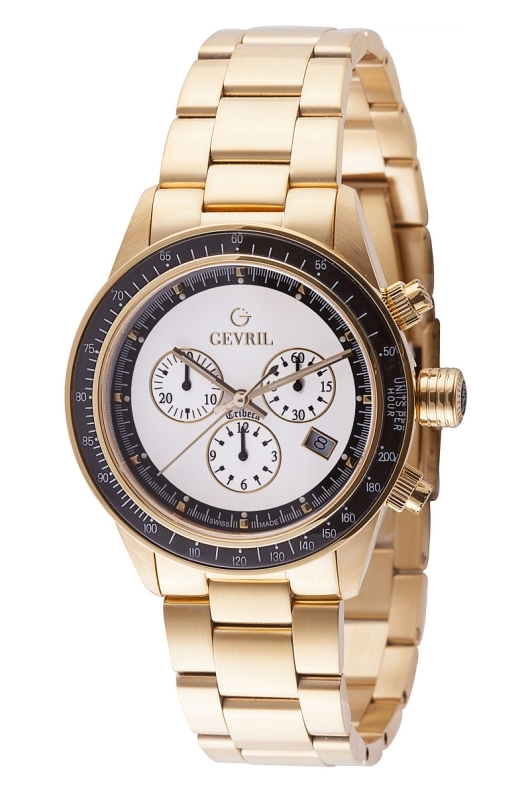 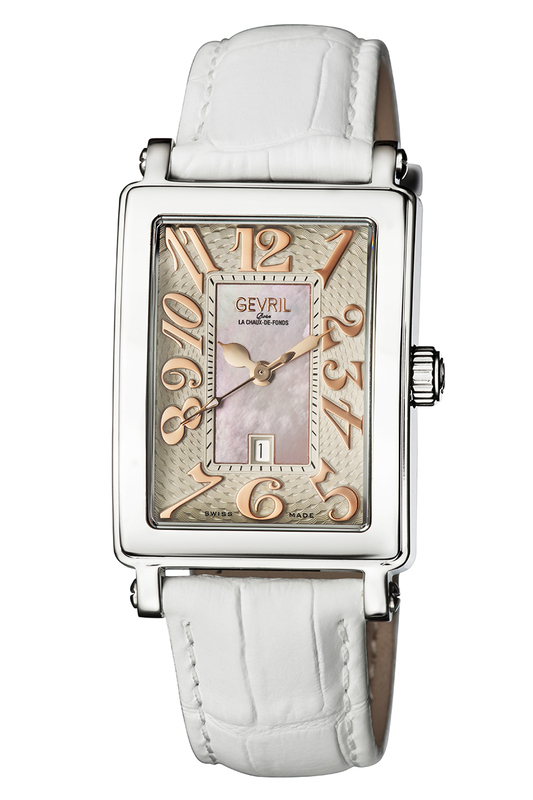 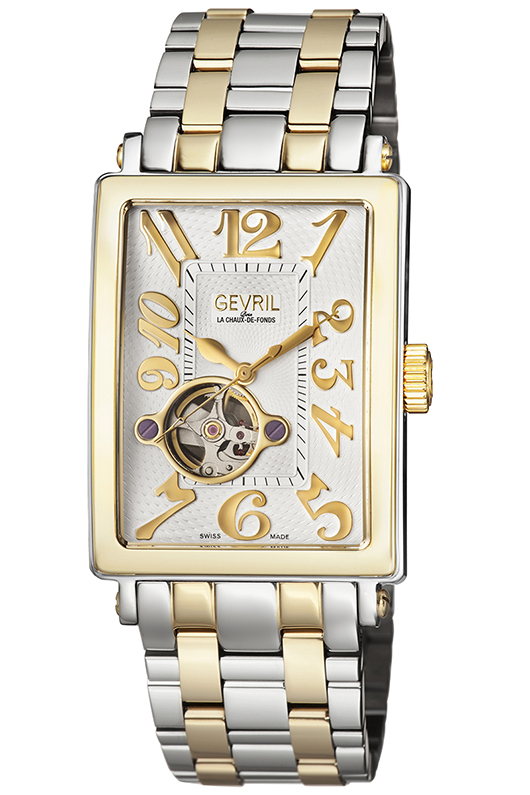 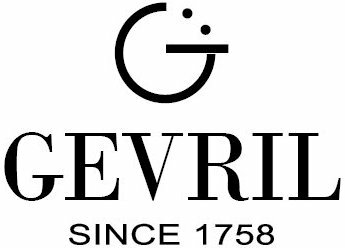 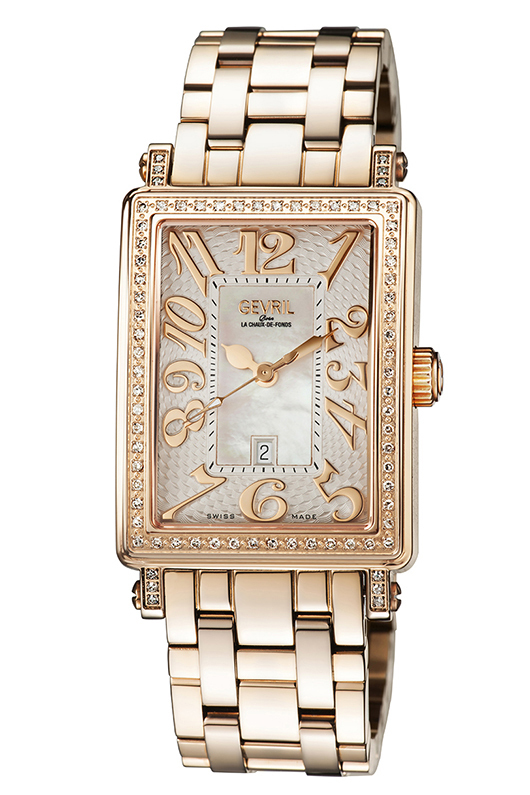 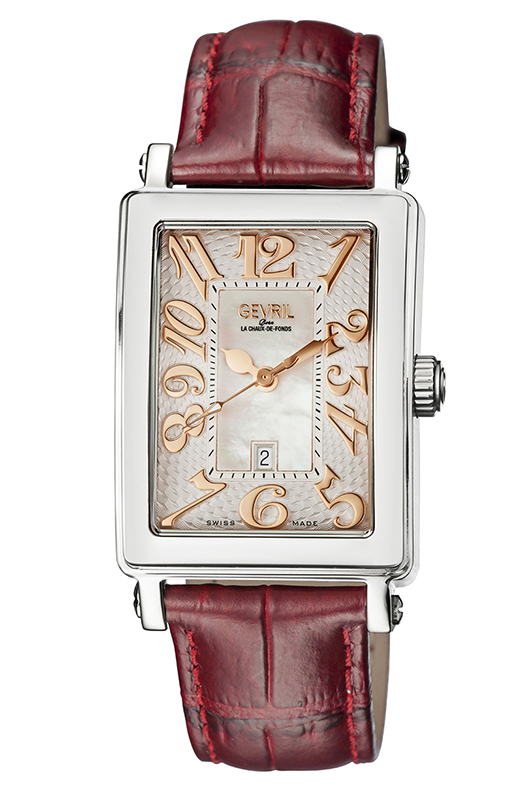 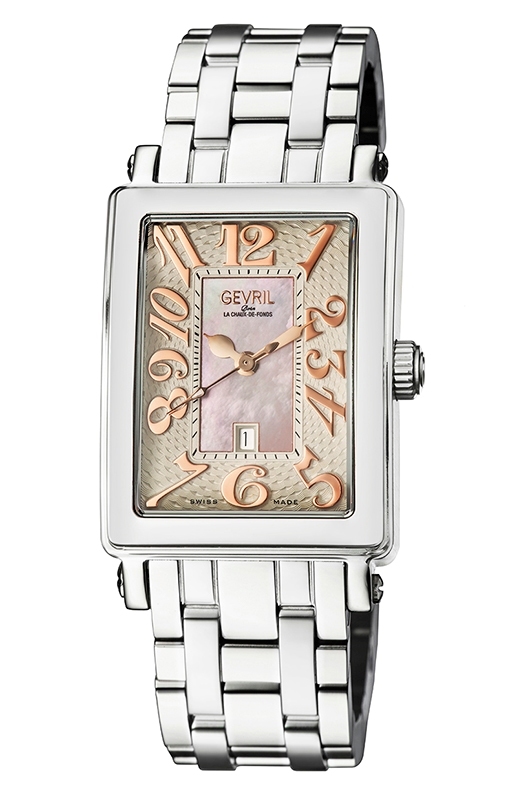 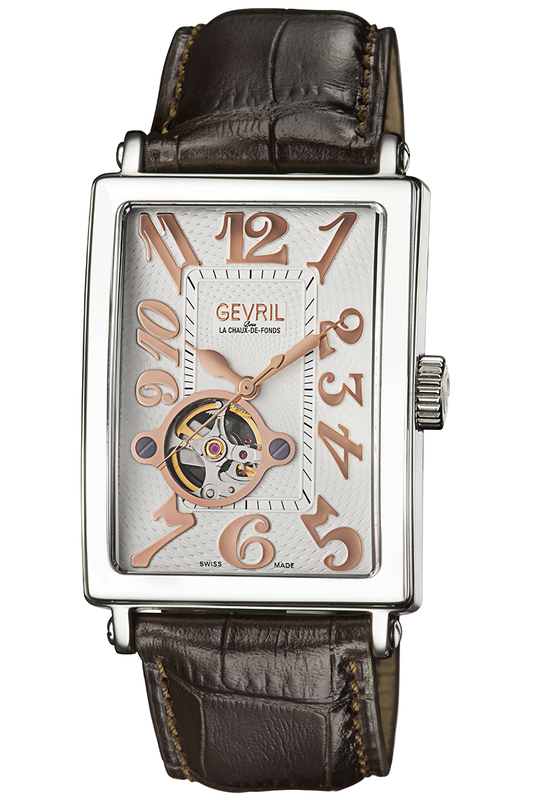 Most people with an eye for fine watches are familiar with Gevril’s Avenue of Americas collection, the jewel in the brand’s crown since 2001. 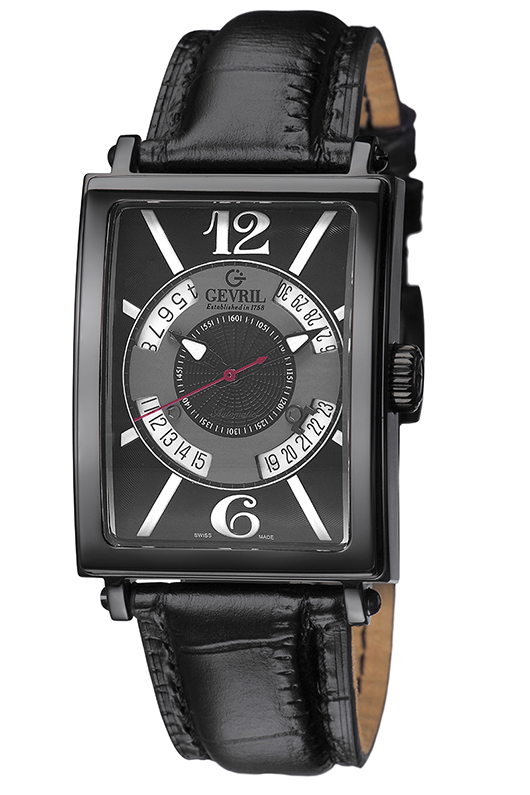 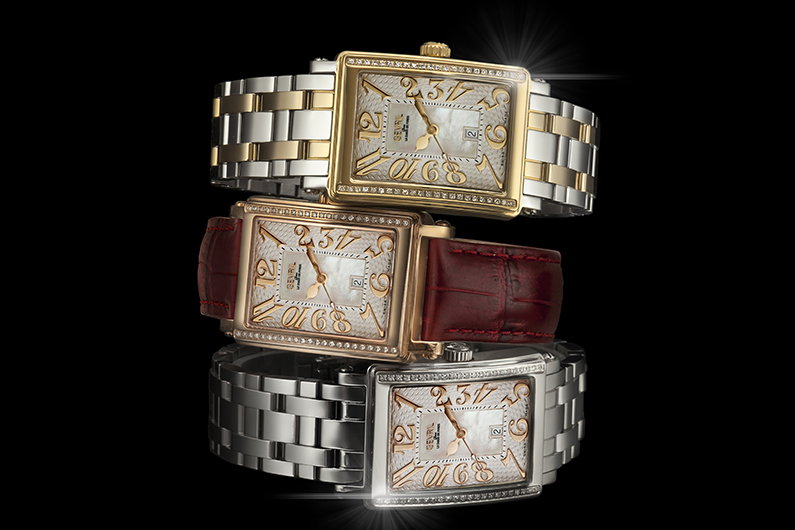 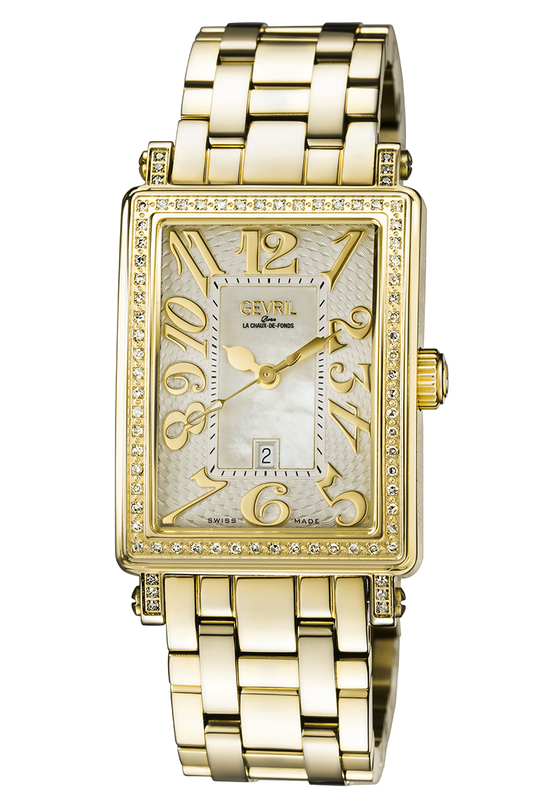 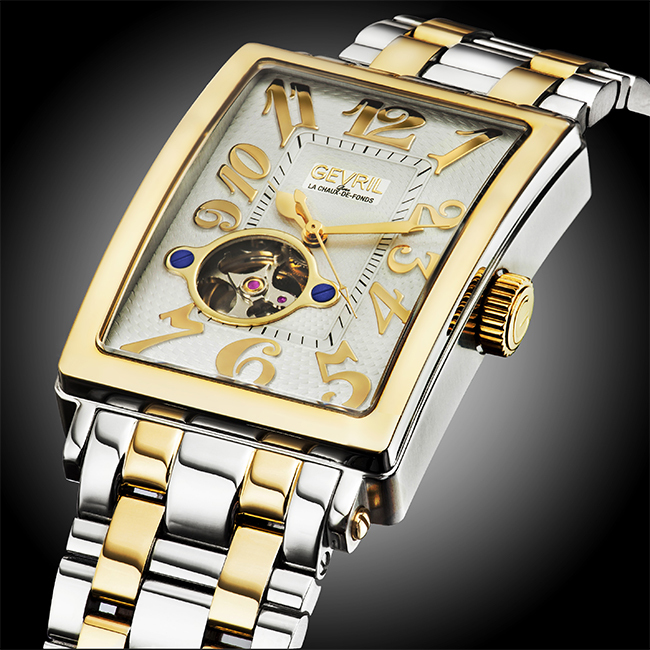 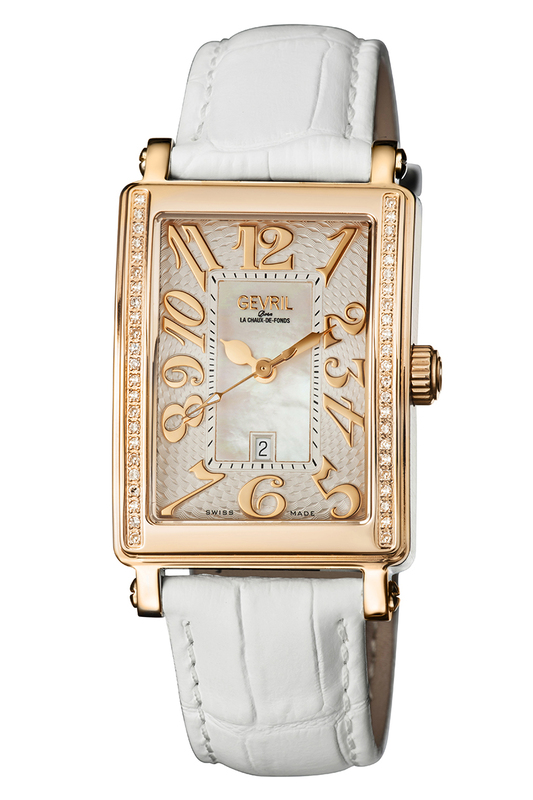 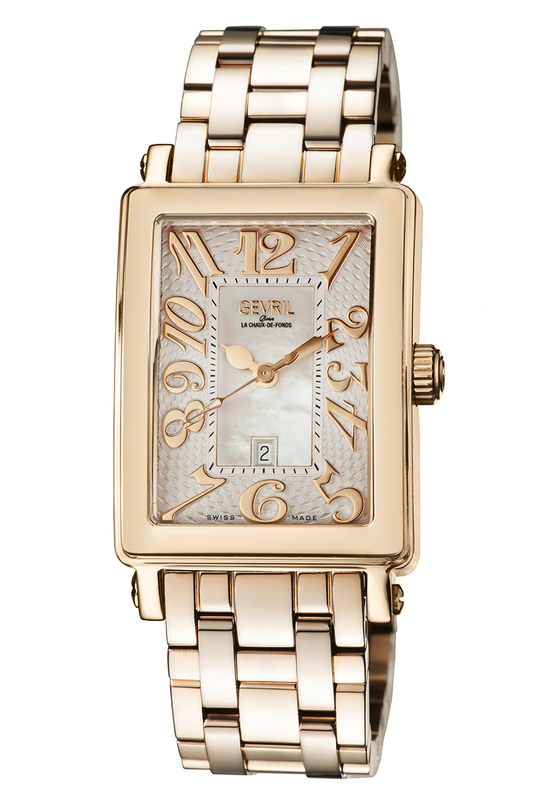 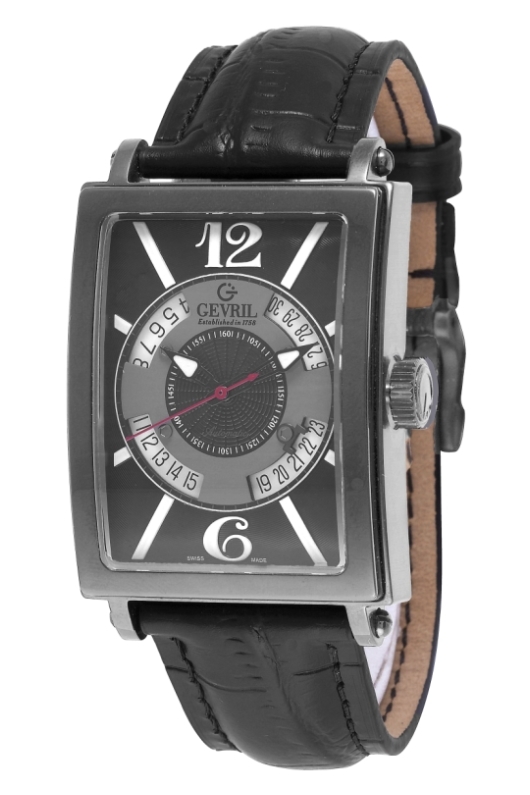 Like other Gevril collections, these watches are named after a famous New York landmark, in this case a prominent lower Manhattan thoroughfare called Avenue of the Americas, also known as Sixth Avenue. 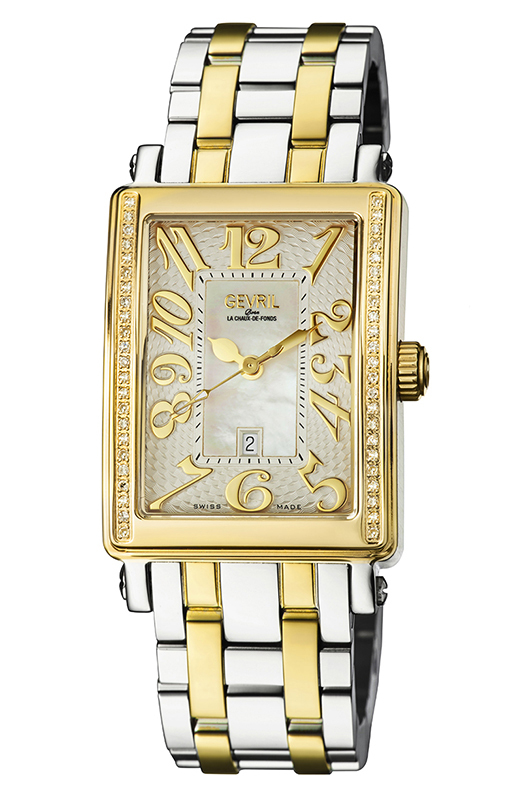 Until now the Avenue of Americas lineup consisted primarily of highly refined dress watches. 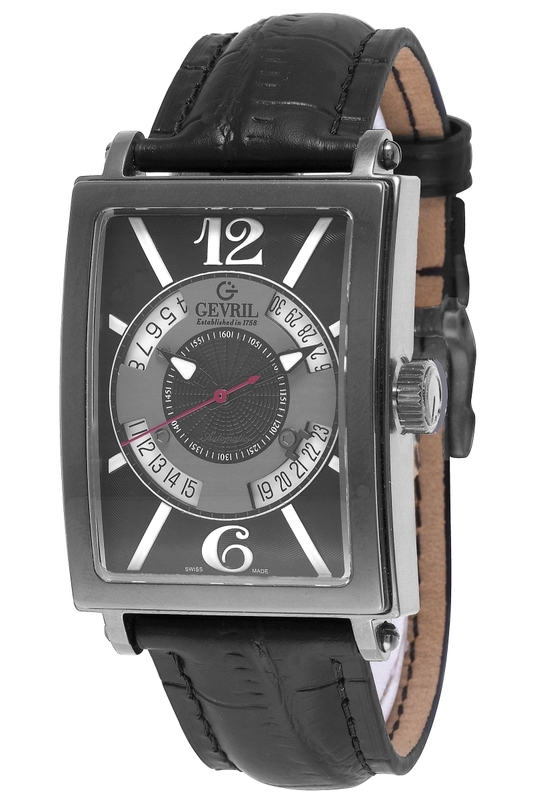 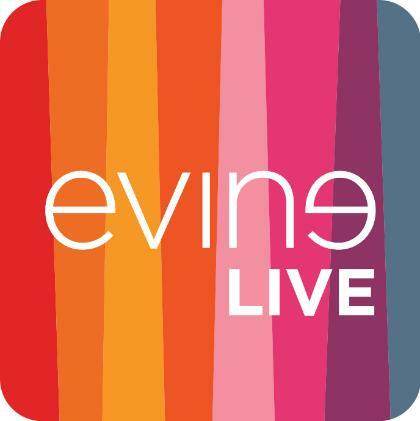 This year, however, Gevril is adding a slightly more casual version with the introduction of the men’s Avenue of Americas Sport. Even at a distance the overall look of the watch remains unmistakable, with a rectangular curved case measuring 44 x 34 mm, large scripted numerals and art deco style. Two variations comprise the Avenue of Americas Sport collection, each a limited edition release of 500 pieces worldwide. 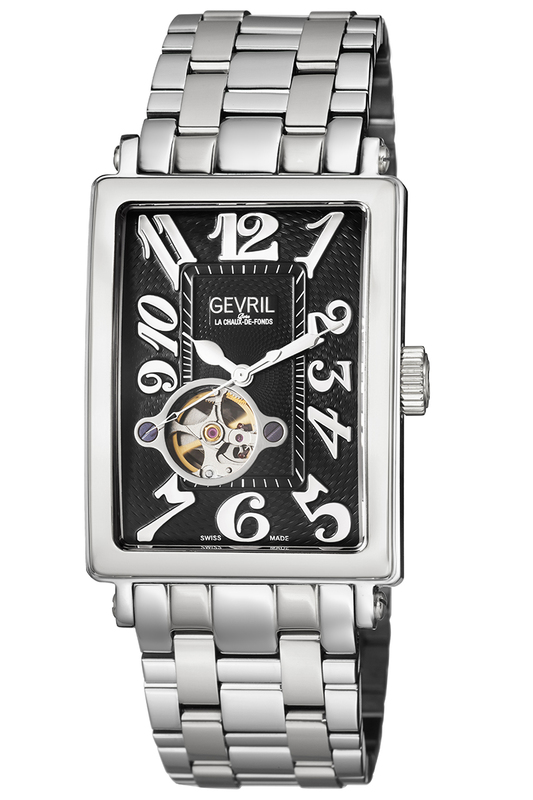 The first has an IP black stainless steel case; the second has an IP “gun metal” stainless steel case. 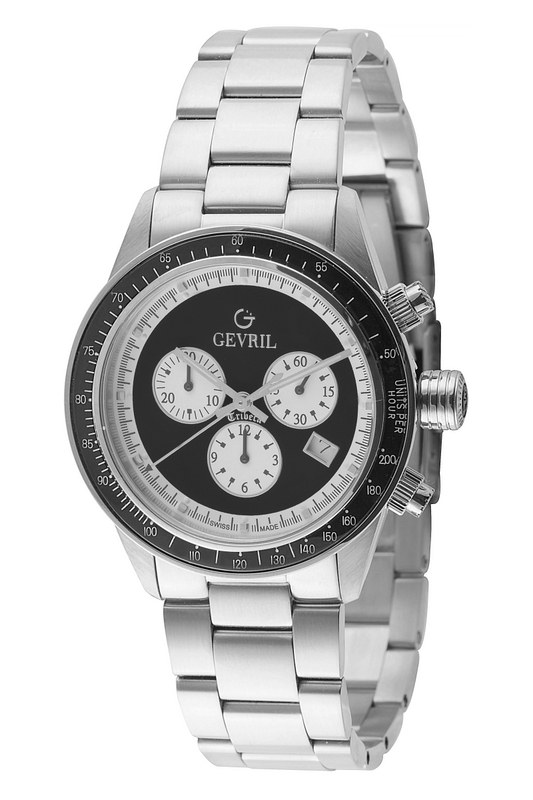 The big difference in the appearance of the Avenue of Americas Sport versus other Avenue of Americas watches is the design of the dial. 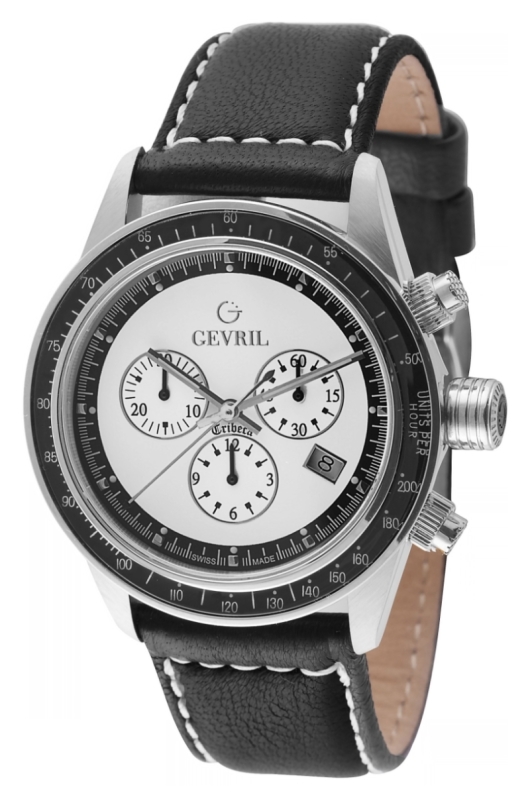 Unlike previous editions that have numeral markers at every hour, the Sport model has numerals only at 12 and 6 o’clock. The remaining hour markers are represented by luminous white bars, proportional to the numerals and stemming from the dial’s circular core. 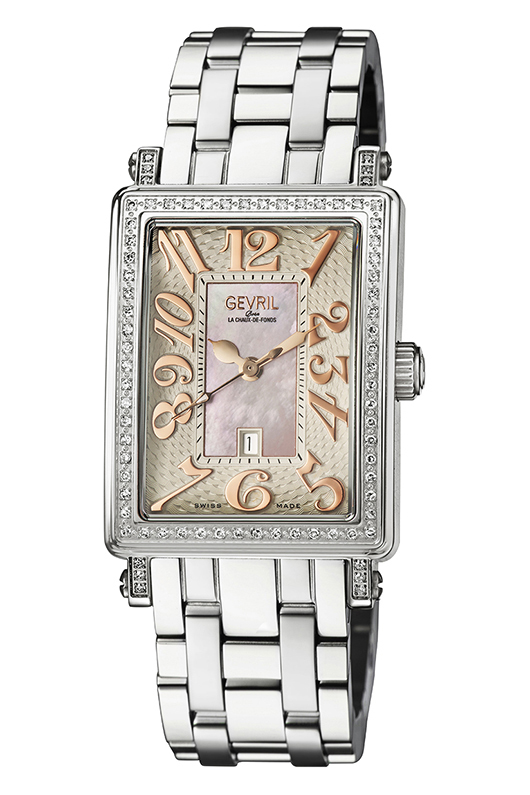 An open date wheel, exposed in four sections, is the focal point. 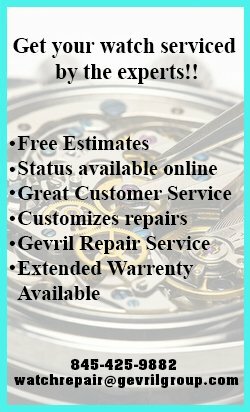 The current date is marked at 4 o’clock by a small two-prong fork affixed by way of a hexagonal screw, one of four such screws connecting the center plate above the date wheel. 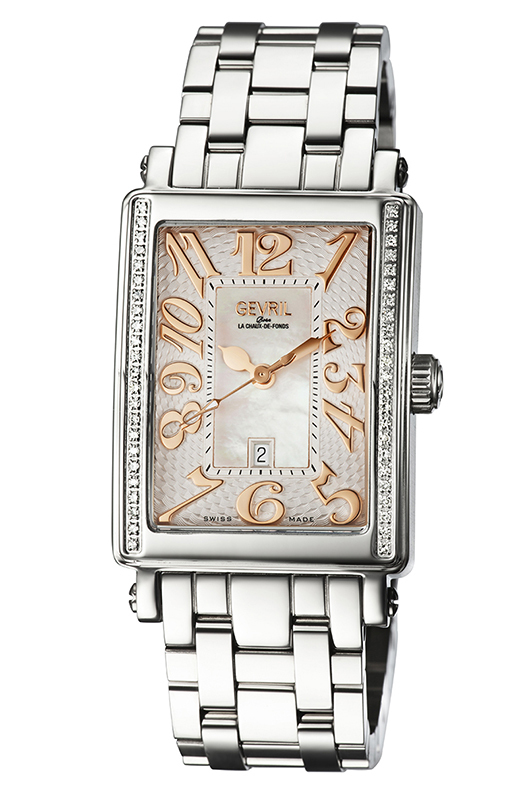 At the center of this plate is an engraved pattern featuring a circular web, which complements the engraved concentric ring pattern on the outer part of the dial. 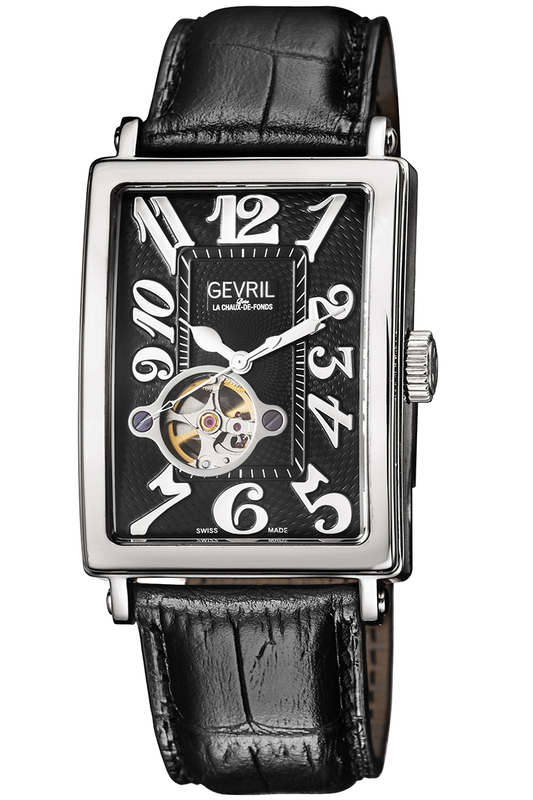 The hour and minute hands are also much sportier, with wide skeletonized bodies and large luminous triangular tips that are easy to read, day or night. 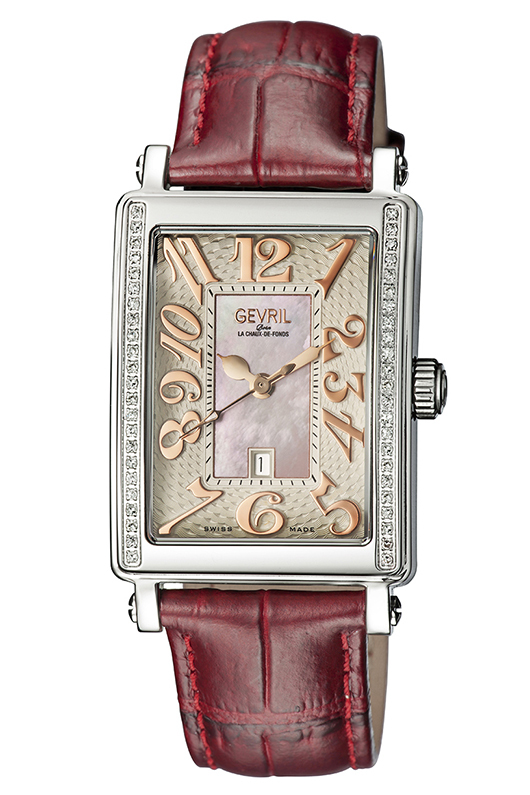 A red sweeping seconds hand adds a burst of color on the otherwise tonal palette. 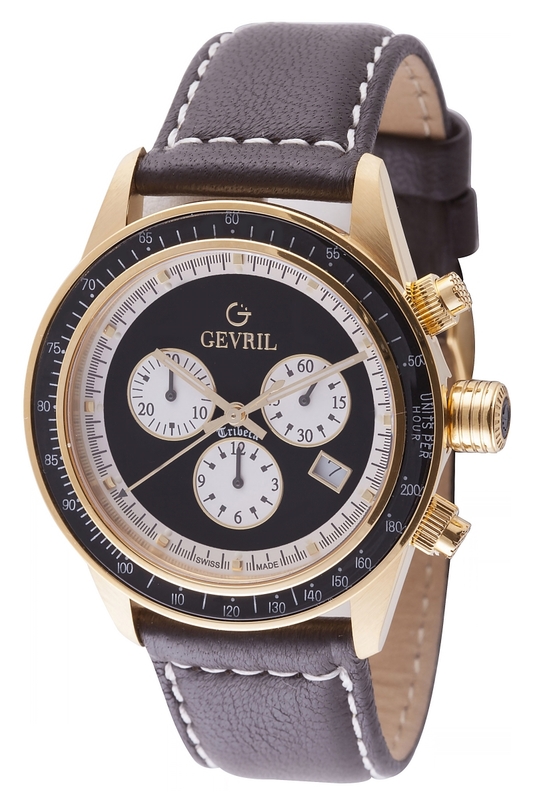 The introduction of the Sport collection means there is now an alternative within the Avenue of Americas lineup for those who want to own a less formal version of this classic timepiece. 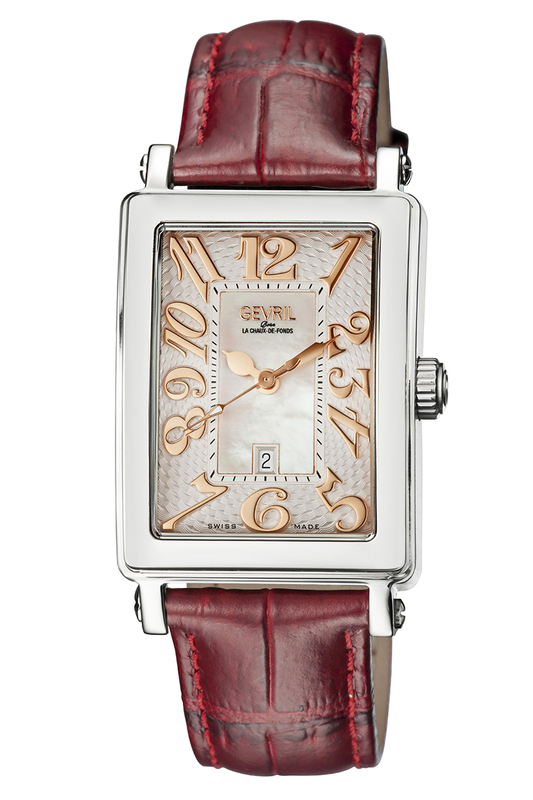 The look is quintessential Avenue of Americas, including familiar components such as the padded leather calfskin strap with tang buckle, anti-reflective sapphire crystal and Swiss made automatic movement visible through an exhibition caseback. 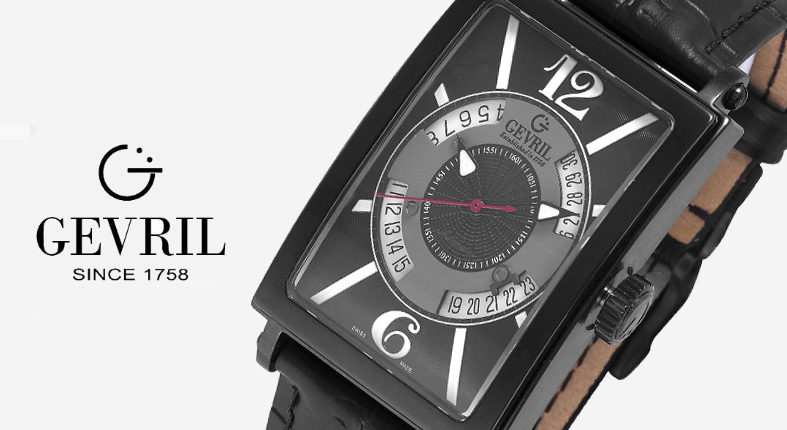 But the dial design completely changes its personality and adds to its versatility, making it a watch that many collectors will appreciate and want to own. 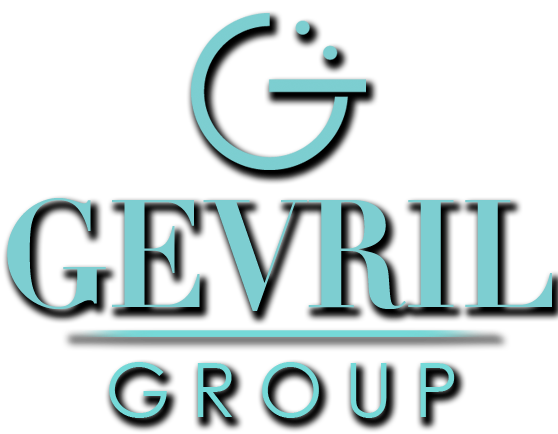 Contact your local authorized Gevril dealer to inquire about availability.